402 with 220/224 cam, AFR 205s, FAST 78 Mamo ported, Moser 12 bolt 4.10s. Posted by Bob @ EPP and Tony Mamo. Okay fellas, I finally got my car tuned. It took a little while because of some oil burning issues I was having. Glad to say thats over. That being said I love the way the car drives but, like everyone else, it put down less than I expected. However, the issue can be fixed by me changing out the badly spec'd cam I picked out and applying my new found knowledge on a different one. My current cam is a 230/236 115lsa +2. Knowing what I know now, I got exactly what I should have gotten. 465rwhp/454rwtq!!! My next cam will be a little bigger with a lower lsa and better valve events. I'll be sure to post the results of the next one. 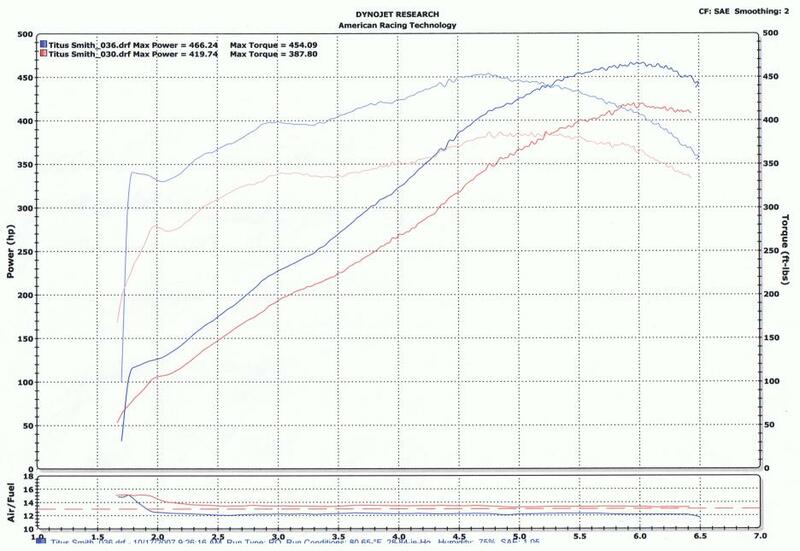 Car has ran a best of [email protected] and best MPH 131.5 all on 18" BFG drag radials. Last edited by ExceSSive; 04-05-2008 at 08:20 AM. Last edited by 98mysticZ; 04-07-2008 at 10:26 PM. Wow. 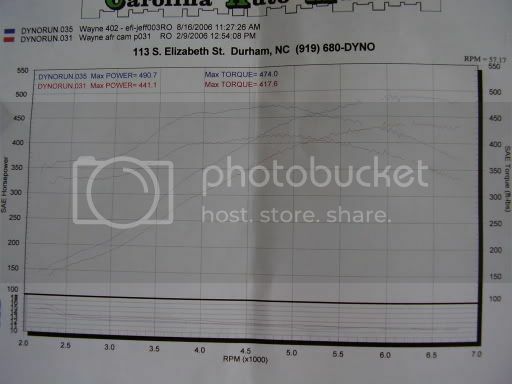 Tons of dyno numbers. You guys could make this better by including track times in here. If everyone included track times I would have put it on the excel worksheet. If anyone wants to take over the worksheet I can forward it to you. I am a little pre-occupied right now with getting my car together. I would like to see room on the sheet for cam specs but as we know not everyone releases those either. I started my build finally...home from deployment just in time to get this done for summer. I will post my results as soon as I can. Last edited by ExceSSive; 05-09-2008 at 08:57 PM. This is a sweet thread Excessive. This is the comparison I have been looking for. do i just post up my setup and numbers or pm? You can post them up if you like. camshaft- cam motion custom. 244 250 dur. @ .050 .646" .644" lift on a 112 LS in @ 108 ICL. main cap fasteners- arp pro series studs 12 pt. will have to find my time slips. this is all i can remember. fastest on this setup was 7.4 in 1/8. i recently did have a 4200 in it for a lil while but was way too loose. 7.20's in the 1/8. will be goin to a 4.11 gear w/ 4000 stall and 28" tall tire. will update later. What MPH...nice set up you got going on there. My LME 408 is very similar to whats posted in #95, except a TH400 trans, loose converter, and SD tune. Car has been 11.17 @ 122.8 mph in 1100 DA, 3800# raceweight (me in the car and a 1/2 tank of gas). Thats also running full exhaust with cats. A few minor tweaks here and there and the car should run 10's soon. I'm probably going to go with a tighter converter as well and 3.90 gear instead of 3.73. Good times, any dyno numbers on that beast and what were your 1/8th time/trap? Its trapped 97 mph in the 1/8th and best 1/8th mile et is 7.19 (seperate runs). My dyno numbers are embarrasingly low. 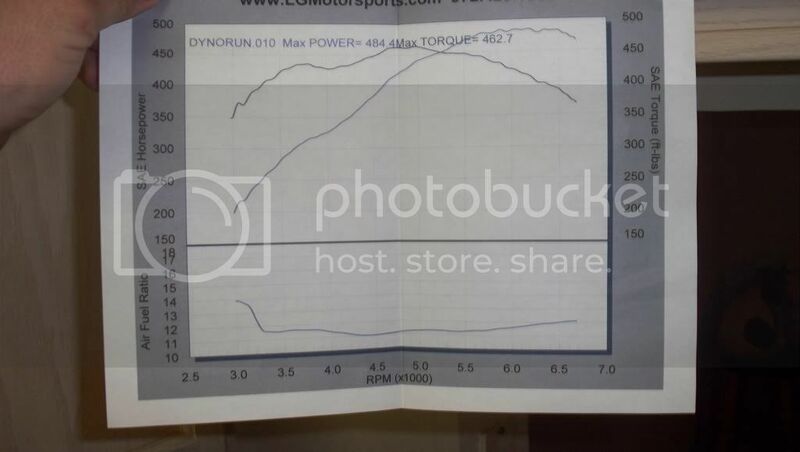 Like ~ 400 rwhp. But keep in mind, my converter slips maybe 15% (loose) and going thru a TH400 transmission. 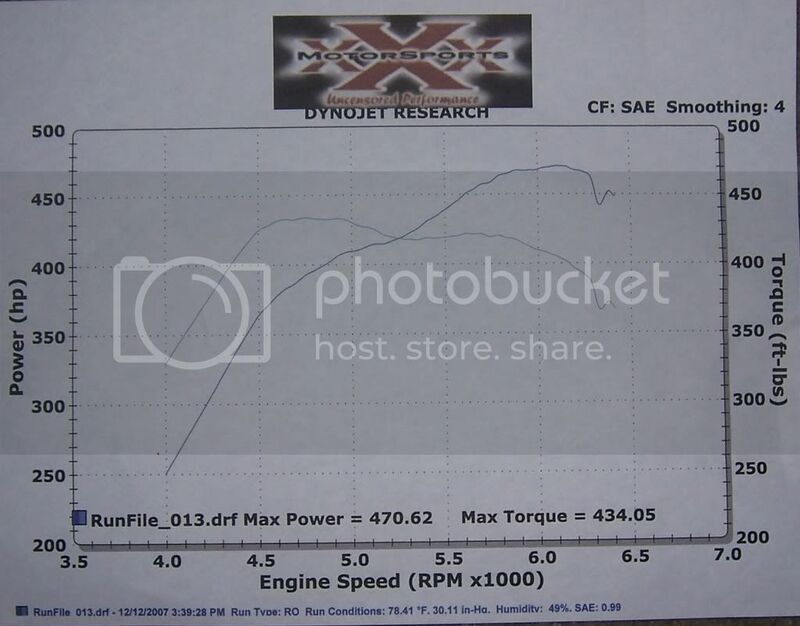 That was also on a dyno that usually read 15% less than a dynojet. I can't remember the name of the dyno. But that all proves that dyno numbers aren't everything. Must be like dynodynamics or a mustang dyno to read that low and almost run 10's.